Swipe Telecom has launched a new smartphone, the Swipe ELITE. The new Elite smartphones comes with vigorous specifications considering the price tag. It features 5-inch 1280 x720 pixels HD 2.5 cured glass display and is powered by 1.3GHz quad-core processor.The Swipe Elite is one of the best camera smartphones that you can buy under Rs 6000. The only think where phone lacks is 4G LTE support, but it is OK considering the price. 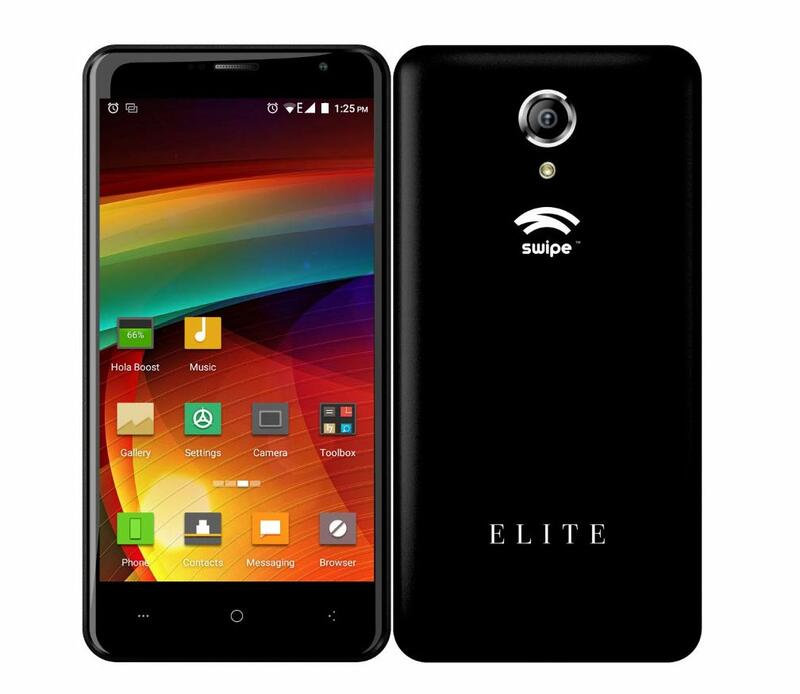 The new Elite has dual SIM support and runs on Android 5.0 (lollipop) with Freedom OS. Swipe Elite is accomplished with 13MP rear camera with LED flash and 8MP front camera. It is 8.0mm thick. It comes with 3G HSPA+, WiFi, Bluetooth and GPS connectivity options. It is powered with 2500mAh battery. It will compete with Xiaomi Redmi 2 Prime, Intex Aqua Trend, InFocus M2 4G, inFocus M330, Yu Yuphoria, Micromax Canvas Xpress 2 E313 , ZTE Blade Qlux 4G, MMX Unite 3, Xiaomi Redmi 1s, Micromax Canvas Spark Q380, Coolpad Dazen 1, Lenovo A6000 Plus and Phicomm Energy 653. Swipe Elite is available in Black colors and is priced at RS 5,999. You can buy it online from Flipkart.